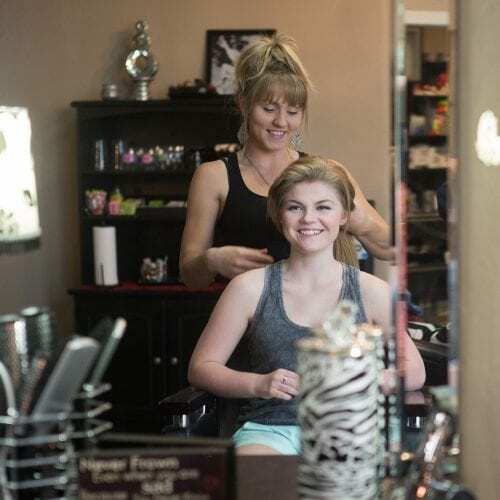 Why should you have your makeup and hair professionally done? 9 Reasons to GO PRO! Regular makeup is hard to see through all the filters of a high definition camera. Tiffany uses highly pigmented professional airbrush makeup so you will look natural but glam for your senior portraits! Tiffany waterproofs her makeup so that your face will be flawless from the beginning to the end of your photoshoot. The Durango rain or sweat will have nothing on your super fabulous face! There is a HUGE difference between “everyday makeup” and “camera ready makeup.” The products that Tiffany uses are specifically made for the camera, as well as camera ready faces. 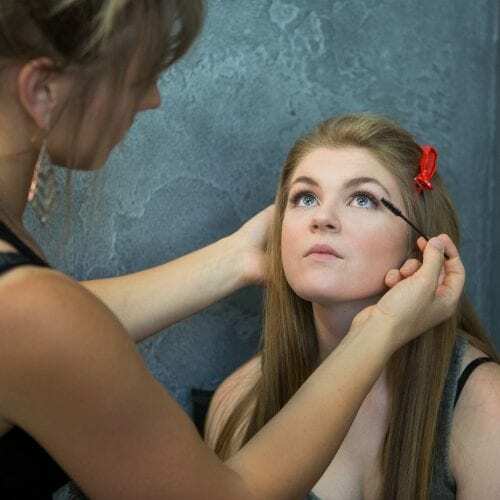 By using a professional makeup artist with credentials, like Tiffany, you'll find security using a makeup artist who has special training in camera ready make up, not just regular make up. AIR BRUSH makeup is the lightest and smoothest foundation makeup in the industry. It’s so thin that it looks completely natural without leaving a waxy buildup on your like regular makeup can do. Air brush makeup is a safeguard against something called “setting.” Air Brush foundation will NOT settle into any pores, wrinkles or scares on your face which most regular makeup will do. AIR BRUSH make up is what the bridal, model, television, and movie industries use. You deserve the very best for your face when it comes to your senior portraits. Don’t settle for anything less. Click the images to see the benefits! Creating your camera ready face. Tiffany Aukerman is the Aukerman part of Cardwell Aukerman Photography. She is a licensed cosmetologist and the first cosmetologist in the area to offer magazine style air brush makeup. She will make your skin flawless while accenting all the things that make you unique and special. Tiffany is not only an incredible makeup artist and cosmetologist, but she is also an exceptional photographer and graphic artist working side by side with Carol for 11 years. She not only understands makeup and your face shape, but understands photography ... how the light and lenses affect the way the camera sees your face. She knows how to create your look so it’s the best you can be! Tiffany graduated from San Juan College school of Cosmetology. She then studied with the amazing Tonya Colums, the only makeup artist for the famous Amanda Holloway who is a legend in the professional photography world. Tonya is a phenomenal makeup artist and has done airbrush makeup for many famous people like first lady (yes, our president’s wife!) and was FEATURED and PHOTOGRAPHED on Victoria’s Secret’s website when she was asked to be the makeup artist on VS’s Angel Tour when they came to Texas!